Build a winning pinewood derby car! Orders over $75 ship free via USPS. See all shipping options available with our Shipping Calculator. Read full Shipping Policy. Build a winning car. You can do it — We can help! Winning Pinewood Derby Secrets - INSTANT DOWNLOAD! Pinewood Derby in Six Easy Steps - INSTANT DOWNLOAD! Winning CO2 Dragster & Blastcar Secrets - INSTANT DOWNLOAD! Tungsten Putty - add weight anywhere on your car! PEACE & LOVE, Rainbows Butterflies, Flowers stickers! Pinewood Body Skin - Camouflage - no painting! Pinewood Body Skin - Fire and Flames - no painting! Turn your car into a Pirate Ship! Turn your car into a Space Ship! Turn your car into a Racing Sailboat! Add a cool set of Car Eyes! Clear Gloss Paint Sealer - protect your paint job! NEW Car Designer & Speed Simulator - Try it! Build the fastest Car Possible! PRO Tools give Pro Results! Where can I find ALL the Winning Secrets? Why Is Tungsten the Best Derby Weights? Why Are Lathed Wheels Fastest? We Track Tested our Products to Prove their Speed! You can do it — We can help! "I was expecting just a template but received step by step instructions, tips, and loved the emphaisis on safety!" Cruise to the finish line with your PT Cruizer! 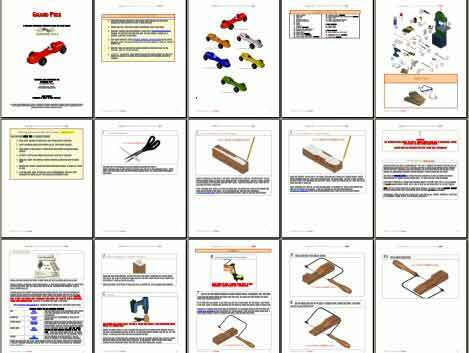 Complete pinewood derby design plan with full instructions, 3D images showing each cut on the car, weight placement, hints, building tips, tool list and car cut-out template blueprint patterns to use as a cutting guide. See your car in 6 different color patterns, plus see a 360 degree animation of your pinewood derby car so you can view it from all angles. Pinewood Pro 3D derby car designs are the best on the market, guaranteed! You can build this car! Our car design plans are the best on the market, guaranteed! We show you how with simple step-by-step clear, 3D images. Plan includes cut-out car design template, building hints, tips, weight placement for speed, six painting schemes, tools list, links for help and everything else you need. 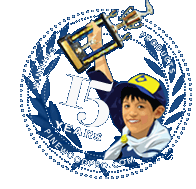 Pinewood Derby® is a registered trademark of Boy Scouts of America. | Awana® is a registered trademark of Awana Clubs International. | LEGO® is a registered trademark of the LEGO Group. | Pinewood Pro is not in any way affiliated with Boy Scouts of America, Awana Clubs International or the LEGO Group. | Copyright © Pinewood Pro™ 1999- All Rights Reserved. You need at least one item in your basket to calculate shipping times.